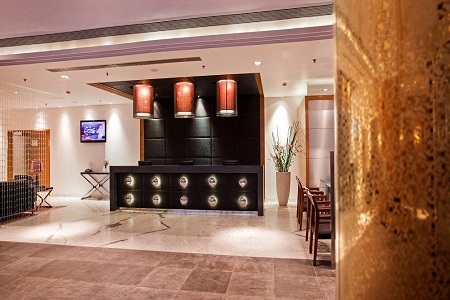 Located within walking distance of Millennium Business Park and Dhirubhai Ambani Knowledge City (DAKC), the Country Inn & Suites® by Radisson, Navi Mumbai is an ideal choice for accommodation while you’re in town for business. Our hotel rooms offer a number of convenient extras like free high-speed Internet access, coffee and tea facilities, a free daily newspaper and even a complimentary fruit platter upon request. Wind down after a busy day at the outdoor pool, or relax with a massage at the spa. Each morning, we offer a free, hot breakfast at the on-site Mosaic Global Cuisine Restaurant, and our Oasis restaurant serves authentic Indian dishes and carefully crafted cocktails. Explore a world of flavours without leaving the hotel with our two on-site restaurants, Mosaic Global Cuisine Restaurant and Oasis. The 24-hour Mosaic is home to the free, hot breakfast each morning and offers a variety of international dishes. 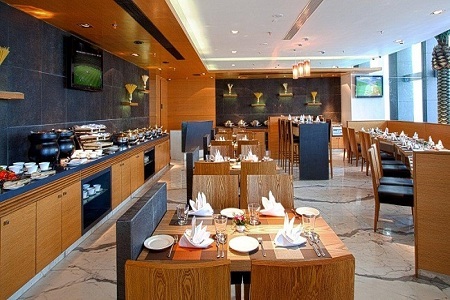 Oasis is a premier choice for lunch or dinner for those who want to enjoy seafood and Indian dishes. The bar at Oasis also offers fine wines and cocktails throughout the evening. Prefer to stay in? Order from the hotel’s 24-hour room service menu. Pandavkada Falls – Pack a picnic lunch and make the short hike to this gorgeous 107-metre waterfall. Nestled in the Kharghar Hills and about 20 kilometres from the hotel, this popular spot is at its most beautiful during monsoon season (July through September). InOrbit Mall Vashi – A 16-minute drive will take you to the popular InOrbit Mall, featuring national and international brands such as Tommy Hilfiger, Nike, Van Heusen and The Body Shop. Get a bite to eat in the extensive food court, and keep an ear open for live music performances. Central Park – An 18-kilometre trip will take you to Central Park, featuring 290 acres of open fields, jogging trails, sculpture gardens, amphitheatres and play areas for children. If you have time, practice your swing at the Kharghar Golf Course. Hosting an event in Navi Mumbai? The Country Inn & Suites is home to five meeting rooms, a 10-person boardroom and an open-air terrace that hosts up to 400 guests. Choose from a variety of room setups, and allow our professional event staff to help you with every detail to ensure your event is a success.